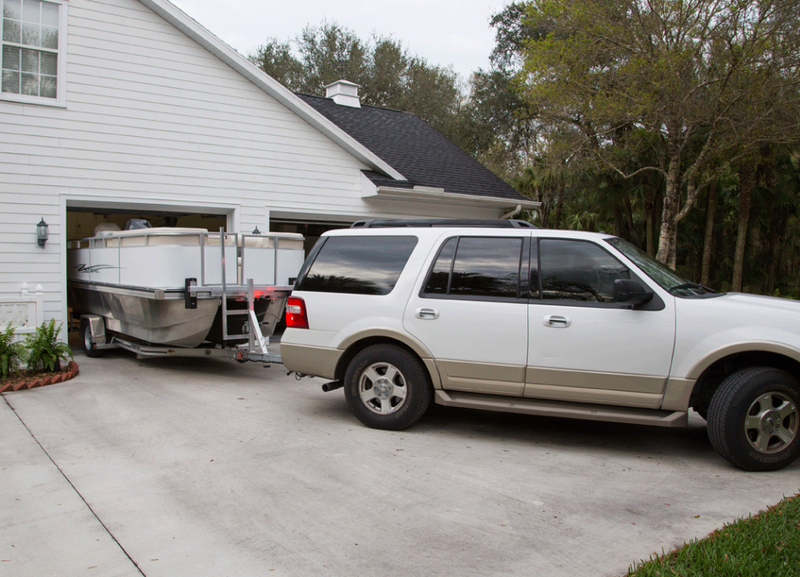 When trailering on the included custom Float-On brand trailer, the boat is locked into the retracted position, making towing a much simpler exercise, plus allowing for standard garage storage! How easy is this? Load your cooler and other items into the boat that is conveniently located right in your garage. Trailer the boat to the ramp, and put it in. It’s that easy. Plus, you won’t have any more storage fees! When you want to take advantage of the pontoon lifestyle, there is no better choice on the market today in this size category and class than Island Boats! You enjoy much MORE space and entertainment value for your dollar, with MORE efficient towing and storage capability, all at a highly competitive price.